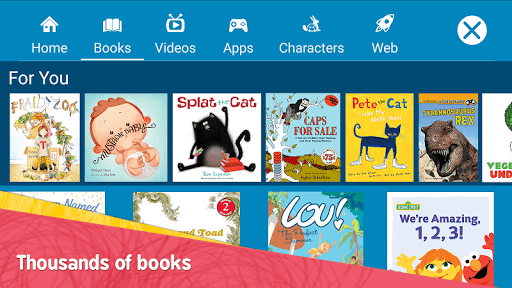 Unlimited access to thousands of kids’ books and videos on your device. 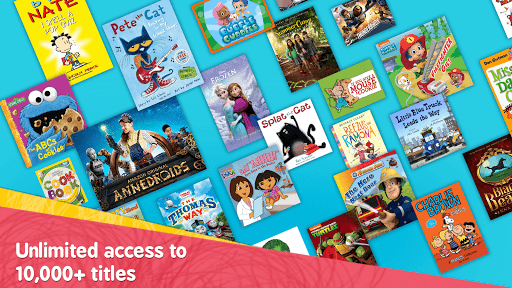 Amazon FreeTime Unlimited is an all-in-one subscription for kids that offers unlimited access to over 10,000 kids’ books, videos, movies, and TV shows. Download this fun and educational app for kids between 3-12 years old, which comes with easy-to-use parental controls. Amazon FreeTime Unlimited is filled with trusted brands that kids love like Disney, Nickelodeon, Sesame Street, PBS Kids, National Geographic, and more. Parents receive access to parental controls that allow them to find the right balance between education and entertainment. Parents can personalize screen time limits, set educational goals, filter age-appropriate content, and manage web browsing and content usage based on a child’s age. 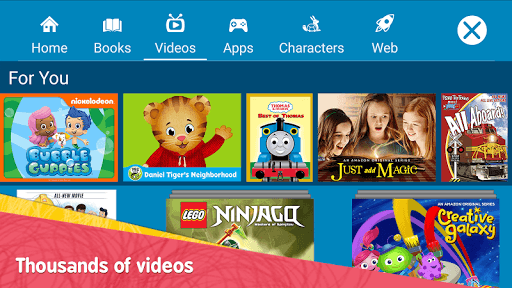 And with Amazon Parent Dashboard, parents can discover what books and videos their kids enjoy by viewing their FreeTime activity. In addition, Discussion Cards allow parents to learn more about those titles and gives guidance on conversation starters, connecting parents with their kids on content. As a FreeTime Unlimited customer, enjoy unlimited access to kid-friendly books, videos, apps, and more across all of your devices like Fire Tablets, Kindle e-readers, or Android phones and tablets. • Download the app now and start your 1-month free trial! • Kids get access to thousands of titles for a low price - after your free trial, subscriptions start at just $2.99 per month for Amazon Prime Members, $4.99 for non-Prime Members. • Your subscription will automatically continue as long as you choose to remain a subscriber. • Cancel anytime, online, 24 hours a day. • Plus, one subscription works for multiple devices! Endless fun for kids. Peace of mind for parents. Amazon FreeTime Unlimited was built from the ground up for kids to have a fun and educational environment to enjoy.